Hey everyone, how are you today? I'm doing great, very busy at the moment but I always look forward to times when I can be on decor8 sharing my finds and interacting with you because it's my escape from the chaos. :) Blogging is such therapy, isn't it!? Today is Tuesday and as you know, it's time for me to highlight five Etsy shops that I'm enjoying this week so let's get started and see what talent awaits us over on Etsy today! First up, I'm mad for prize ribbons, badges and paper crafting so the Saratops shop had my attention the second I found Sara's sweet little crafty heaven. 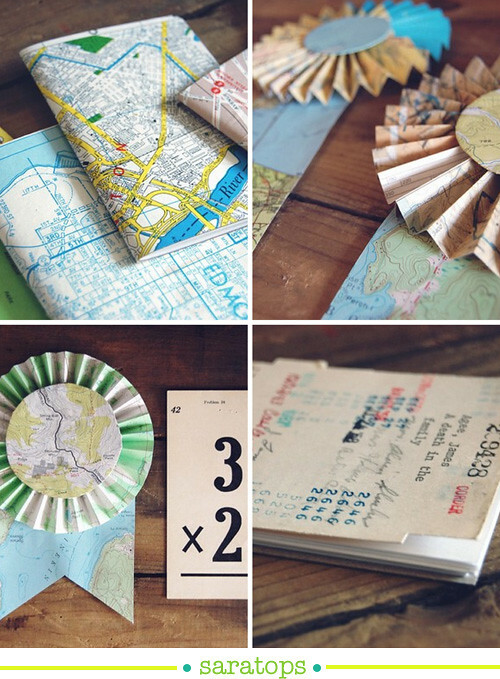 I love her map ribbons and library book card notebooks and that she's into recycling - she's quite clever I think! 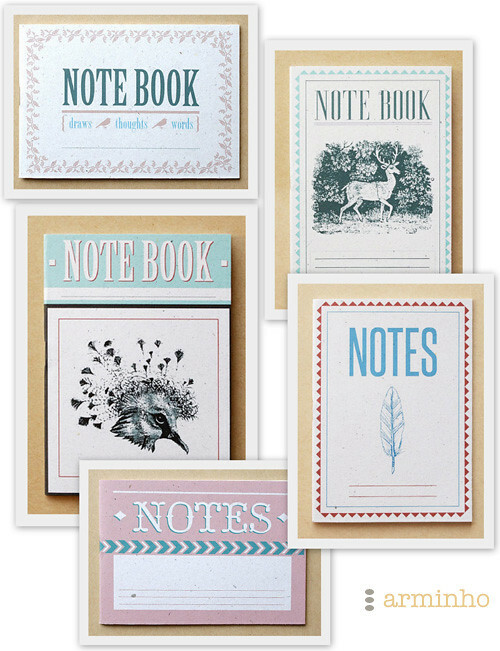 Arminho in Portugal has the best notebooks - I'd love to have a bunch of them for my office as I refer to travel size notebooks so often and carry them everywhere I go. Do you use notebooks too? 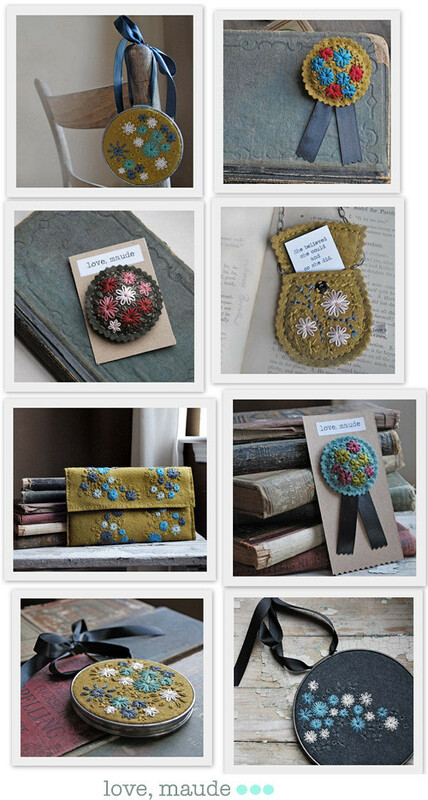 The next little shop keeper is Love, Maude and I really like her sweet hand-embroidered felted wool creations, especially her embroidery hoops-as-decor. So pretty and created so expertly - I appreciate her attention to finer details and her limited, sophisticated color palette. 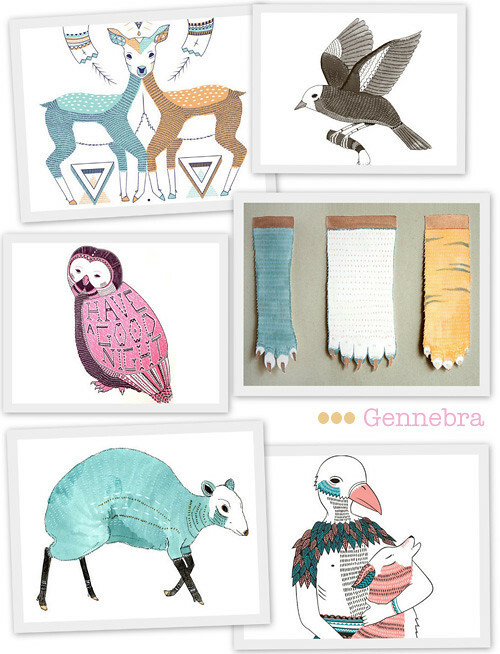 Illustrative watercolors from Gennebra in Portugal is another pretty find that I discovered this morning while browsing Etsy. Her focus on animals and soft pastels is quite sweet. Her animal paw art is my favorite - I'd love to frame them for a kid's bedroom. 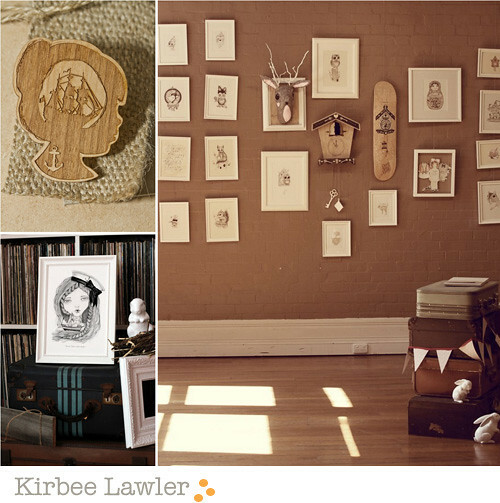 Kirbee Lawler in Sydney is a graphic designer and illustrator who creates nice wooden brooches and art prints that you can frame and display with a feminine look and feel.